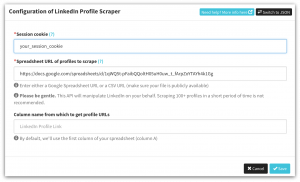 Want all the social profiles of your competitor’s LinkedIn fans? Then to turn their fans into yours? 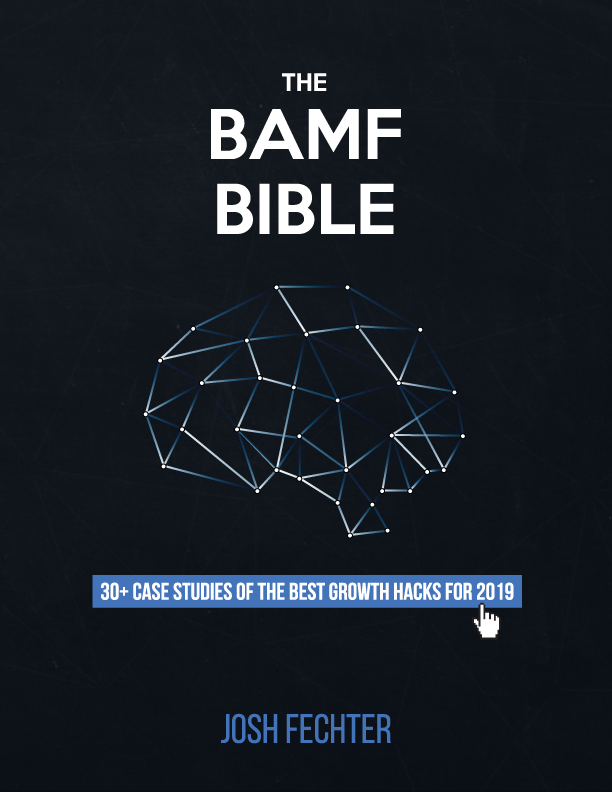 In this guide, you’ll learn how to get their Facebook, Instagram, and Twitter profile URL. Then you’ll learn how to auto-engage with them on those platforms. Find your competitor’s posts on LinkedIn. 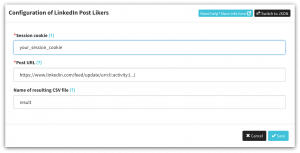 Next, use Phantombuster’s LinkedIn Post Likers API by clicking on the three dots under Console. 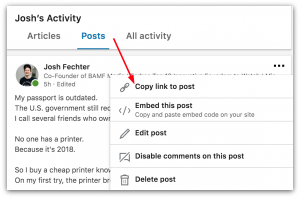 Then input one of the post URLs into the “Post URL section.” After, follow their step-by-step instructions for grabbing your session-cookie by clicking on the question mark. 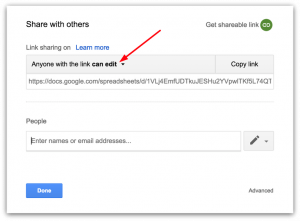 Take all the outputted LinkedIn URLs, then upload them to a new Google Sheet. Once you hit launch, you’ll be taken to this screen below. 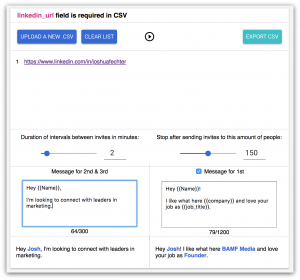 When all the LinkedIn profile URLs have been searched, you’ll have the ability to download them into a CSV. Import this CSV into a Google Sheet. Now you have a ton of data on the people engaging with your competitor’s content. The fun part begins – grabbing all the social profile URLs. Make sure to put in the editable version of your Google Sheet URL in the Spreadsheet URL field. Plug in the relevant Google Sheet URL, then fill in the appropriate column title. 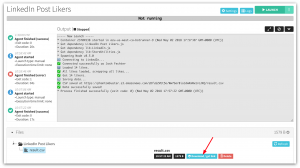 Hit Launch to get the Twitter Profile URLs. Next, you want to find the Facebook Profile URLs. Plug in the relevant Google Sheet URL again, then fill in the appropriate column title. The only difference is you’re using the Facebook API. Hit Launch to get the Facebook Profile URLs. Now that you have all the social profile URLs of your competitor’s fans, you want to engage with them. The good news: you can automate it. For Instagram and Twitter following, favoriting, and commenting, I recommend Followliker. It’s the best automation tool online for these platforms. In a few minutes, you can import your custom URL lists to auto-follow all your competitor’s fans while engaging with their content on an ongoing basis. That’s an easy win. I recommend Facebook friending your competitor’s fans at scale.